To celebrate our release number 100, Agipunk is proud to announce the world that we'll be officially putting out the first and only Wretched singles collection approved by the ex members of the band. Forget all the bad sounding bootlegs and all the cheap quality products that have been released so far, this one's gonna be a real blast! 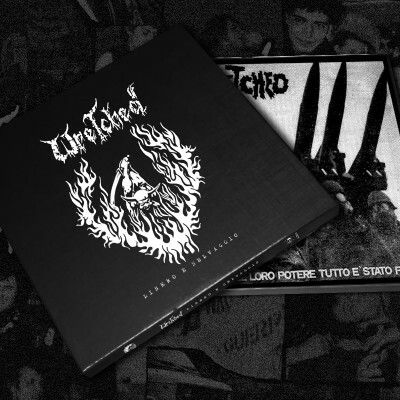 This 4 x 7"es box set will contain the split 7" with Indigesti (only the Wretched side) on black vinyl, the "In Nome Del Loro Potere" 7" EP on red vinyl, the "Finirà Mai" 7" EP on blue vinyl and the "In Controluce" single 7" in milky clear vinyl. The songs will sound better than ever as the original records and tapes have been remastered for delivering a new vibe of destructive CHAOS NON MUSICA!!! 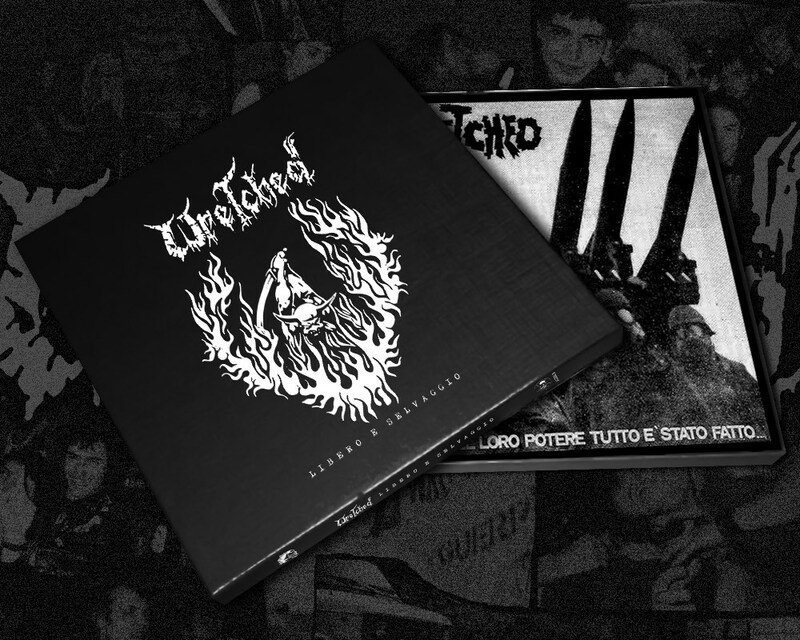 The box set will be available in 500 copies and will come in a stunning thick matte black cardboard with a 16 pages booklet with all the original Wretched artworks and flyers rearranged to provide a better visual quality.